I am sitting in a coffee shop in downtown Kuwait City. I am enjoying my cup of coffee while browsing the net, checking my timeline on twitter, and gazing out to the street. The sight from where I’m sitting shows how far the city went towards the sky. Shiny skyscrapers are popping up at every corner, competing against each other and seeking attention. A variety of complex tall structures looks impressive for those who aren’t trained to differentiate between good architecture and bad. It also reflects how we as a society view development in the 21st century. It’s printed in our minds that taller buildings means a rich, modern, sophisticated country, yet that can not be further from the truth. Unfortunately, as I continue to gaze and take a deeper look towards the streets, it shows how poor we are in urban design. Our streets are anti-pedestrian, anti-automobile, and simply anti-human. Nothing in our urban fabric is connected other than the pavements of the street and the sidewalks. almost no vegetation, no urban furniture, no proper signage, and no amenities to be seen anywhere. I will not even discuss the fact that there aren’t enough parking for all the cars that are starting to block the roads and create traffic jams. The city is being experienced by the car only, which is a shame. This, however, wasn’t the case all the time. Back in the 1960’s while Kuwait experienced a boom in construction till the early 1980’s, trees where everywhere, urban furniture was placed properly on both sides of the street, and public amenities where available. Enough parking spaces were also available according to the capacity of surrounding buildings, that the building codes allowed back in the day. We are reaching high to the sky, looking upwards, feeling mighty, only to ignore where we stand. This is bound to fail and will eventually collapse. We need to re-think, re-imagine, re-cycle our city for proper usage. We need to think of our selves as users of our biggest city as human beings not as automated vehicles. I think how we treat our streets and how we connect the different parts of the city is what makes us truly a rich society. From where I’m sitting I see a lot of potential for creating a true urban life in the city, if only we can shift our focus from the heavens and be humble enough to look at where we stand. Previous PostIs It Hot Outside? Thank you so much Jasem for shedding light on this matter! It saddens me so much that we can’t walk in the city that our great-grand-parents built with their bare hands!! I also believe that we will hopefully create some sort of change. 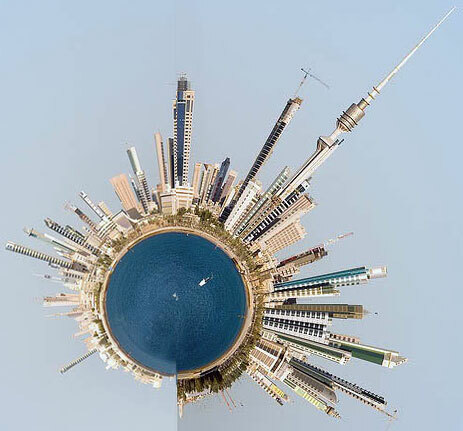 You should also check out Saba George Shiber’s book “Kuwait Urbanization” and see the planned and reality. Although it was a purely modernist approach and opted heavily for automobile dependency.. It also looked at the human and hoped to somehow design for them. Peter and Allison Smithson’s proposals (3, if memory serves me correct) are also beautiful. They are modern (in the typical architectural sense) but also design with the human in mind.. Too bad none of them were realized. I would hope that we just do not feel pity for our city and not do anything.. I hope we could catalyze a change.. This is an important issue that needs to be addressed. I remember reading in one of the Kuwaiti newspapers recently that people were using residential buildings as offices, which is against the law apparently. I saw no mention of why such practices are more frequently seen. What I did read was that more pressure would be put on these “law-breakers” to stop them from continuing such illegal activities. They should read your post to get a better idea of what is motivating people to set up business offices away from the area designated for them. Dala, your welcome. I am not familiar with the proposals you mentioned, but I’ll try to get my hands on them. Bader, many reasons are behind people breaking the laws with regards to codes and regulations. It is not just because of the way our city is currently, but other factors have an implication as well. Rents would be a factor, also proximity is often a major factor as well. I will be writing about this in detail soon.